A few thoughts....: Michelle Ragusa-McBain Named by Entrepreneur Magazine as one of 4 Role Models Who Inspire Girls to Pursue Tech Careers! Michelle Ragusa-McBain Named by Entrepreneur Magazine as one of 4 Role Models Who Inspire Girls to Pursue Tech Careers! Congratulations to my wife, Michelle Ragusa-McBain, who was just named by Entrepreneur Magazine as one of 4 Role Models Who Inspire Girls to Pursue Tech Careers! Think back to the last time you were asked, “What do you want to be when you grow up?” Now think about why you gave the answer you did. When you’re young, you don’t know what you don’t know -- and you can’t aspire to be something you don’t know either. Our early career preferences are shaped by what we read about or watch, what we learn in school and most directly, what we see the people around us doing for a living. Today, research suggests that the presence of role models isn’t just essential to defining students’ dream jobs, but to rectifying the IT industry’s gender disparity. 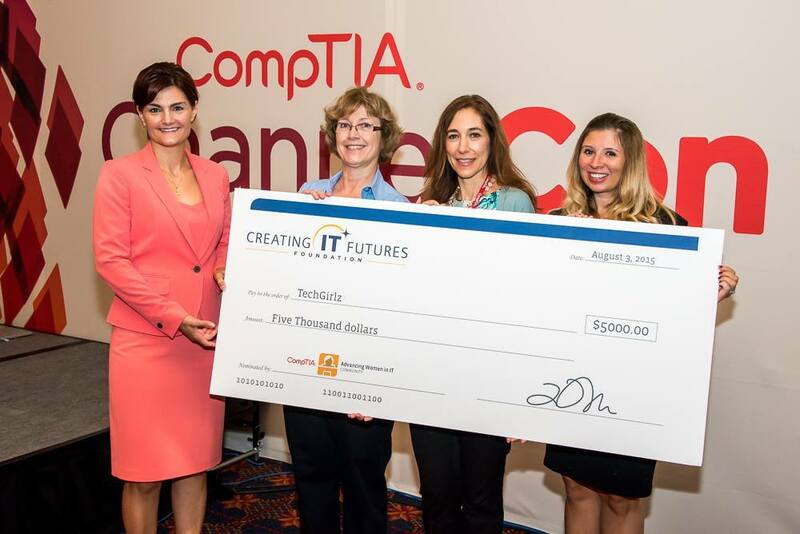 Only 23 percent of middle and high-school girls surveyed said they had considered pursuing IT careers, according to CompTIA’s recent research report, Make Tech Her Story: What Needs to Change to Inspire Girls’ Pursuit of Tech Careers. Of the girls surveyed who hadn't envisioned IT in their future, 69 percent didn't know what these jobs entailed or what opportunities were available. Surprisingly, exposure to technology classes and fondness for video games aren’t the main differentiators between girls who contemplate IT careers and those who don’t -- it’s role models. Although 37 percent of girls in the survey who knew a relative or friend who worked in IT, this number jumped to 60 percent among girls considering technology jobs. Many girls today narrowly associate IT jobs with working in consumer tech support roles, or spending hours alone in a cubicle, crunching numbers on a screen. But when girls have a friend or relative who works in the industry, their perception of IT starts to expand beyond the stereotypes. Ongoing mentorship from a passionate IT professional -- someone who can explain why she loves what she does -- gives girls a lens through which they can view their own futures. If we expect to fill the almost 600,000 new IT jobs projected to be created by 2024, we need to inspire a new class of equal parts boys and girls to follow these career paths. This requires giving girls information: details about what skills are needed to work in IT (beyond math and science), the jobs that exist (beyond coding) and the multiplicity of benefits these jobs offer (from competitive salaries to the ability to travel and help others). Role models are some of the most powerful vehicles for delivering this information. Over the last decade, Angie Chang has worked tirelessly to create opportunities for women in IT. Her resume includes her having co-founded Women 2.0, an online and events-based community for female business and technology entrepreneurs, and having launched the Bay Area-chapter of Geek Girl Dinners, a group bringing local women in tech together for networking and talks hosted by brands like Microsoft and Facebook. Today, Chang is a vice president at Hackbright Academy, a software engineering school that aims to increase women’s representation in the IT industry. Michelle Ragusa McBain is an 11-year Cisco veteran and mother of four devoted to making the technology sector more inclusive. Today, she serves as Cisco’s global customer and partner experience manager, overseeing the company’s alliance with Ingram Micro. 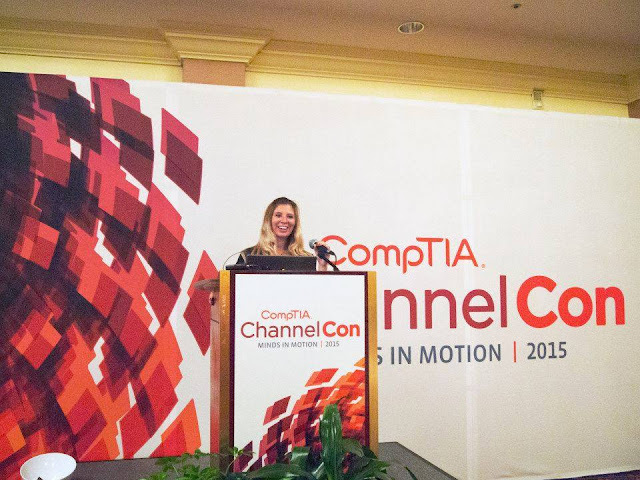 Since 2014, Ragusa McBain has been the executive chair of CompTIA’s Advancing Women in IT community, a group providing women with the resources they need to pursue and grow their IT careers, and helping technology employers create cultures that support a more diverse workforce. Jessica Williams began her career by earning a master’s degree in information systems and then building a background in systems integration. But a trip to a Spark & Hustle event opened her eyes to the world of entrepreneurship. In 2011, Williams founded Tech Biz Gurl, a technology consultancy that advises business owners on everything from launching WordPress sites to managing email marketing campaigns. Aside from holding Cisco and CompTIA certifications, Williams is a co-facilitator for WiSTEM, a 16-week educational program dedicated to assisting female technology entrepreneurs with funding, community and IT resources. As the commissioner and CIO of Chicago’s Department of Innovation and Technology, Brenna Berman has set a new national standard for open, agile and data-driven local government. Role models played a crucial role in her career (which includes more than 10 years at IBM): her uncle was a pioneering computer science professor who introduced her to computers as early as kindergarten. In addition to overseeing IT initiatives for the third largest city in America, Berman sits on the board of the Chicago Entrepreneurial Center, a nonprofit group that manages 1871, the city’s startup community hub. In sum, for girls figuring about what to be when they grow up, information is power. Although parents and teachers play a major part in shaping girls’ preferences, role models are uniquely equipped to reshape girls’ perception of IT. By sharing their stories and guidance, the women who represent today's small female fraction of the IT industry can make that industry more balanced tomorrow. Entrepreneur Article written by TODD THIBODEAUX, President and Chief Executive Officer, CompTIA.